April is National Lawn Care Month! April is the time to bring awareness to the benefits of a healthy lawn and how you can take better care of it. What Can You Do for Your Lawn? The answer is, quite a bit! Use this time to prepare your grass for the summer ahead. Your lawn is just waking up from its winter nap. It’s going to need immediate attention to be in good shape for the summer. Here are some tips to get you started. As long as the ground isn’t still frozen, this is the ideal time to test your soil. It will give you enough time to analyze the results and apply fertilizer as needed. On average, you should test your lawn approximately every 3-4 years. You can use a home testing kit or have it professionally checked by a lawn care service. Take a few minutes to clean up any winter debris such as rocks, sticks, and leaves. Use a rake (leaf or gardening) to gather it all. Also, rake any dead grass. Now is the time to mow your grass as short as possible to get rid of the dead grass. Be careful not to scalp it though. A short mow on the front end is not only healthy for your lawn, but it will look more attractive. Remove any clippings by bagging or raking to prevent early spring build-up. It’s best to aerate your lawn twice a year (spring and fall). However, if you can only do it once, now is the best time. Aeration will help release compaction and allow air, water, and nutrients to reach deep in the soil to the roots. Once you’ve had your sprinkler on for a week to ten days, you can begin applying spring fertilizer. The key is to ensure that you are using the lightest settings and fertilizing more often for about 6-8 weeks so that your grass will thrive throughout the summer. Resume normal watering schedules after you fertilize. Do you receive our newsletter? 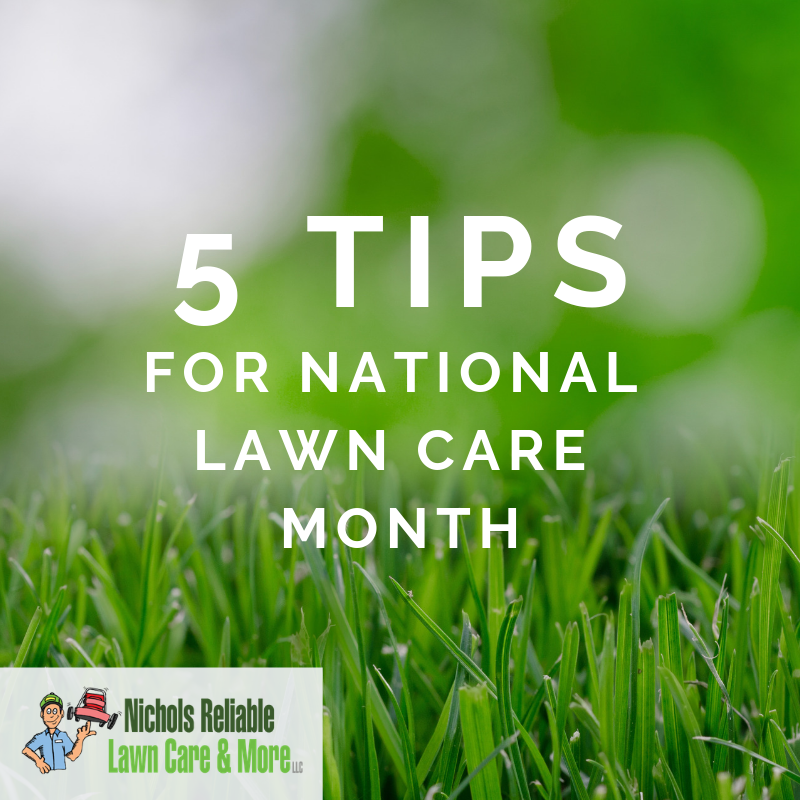 Don’t miss out on great tips for lawn care and more. We publish twice a month.